When I first haul myself out of bed in the morning, I feed first my cat because the meowing makes me a little nuts, and then my dog — then the deer if they’re here and they usually come like clockwork, around the same time every day. Inadvertently I also feed a flock of fifty or sixty California Quail who spend the nights in our lilac bushes. The quail love the deer food and scurry in big bunches, around the moving hooves to get whatever the deer happen to drop. 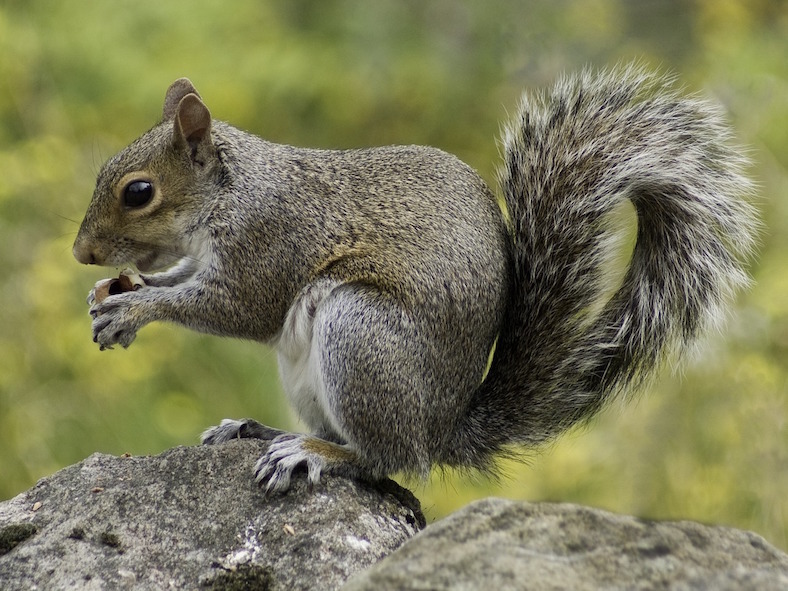 In the front yard I have a squirrel feeder and every morning I put peanuts out — plus I place a few on the front porch right in front of the window — and every day the squirrels hurry and try to beat out the magpies that aggressively vie for the treasure. After my cat eats, she hurries to the window and hunkers down to seriously watch the squirrels and magpies and it keeps her entertained for quite a while — well, as long as the peanuts last, anyway. And then she stays a little longer, hoping for more action — not dissimilar to the way I used to sometimes as a kid stare at the test pattern for a while when the one television station we got, went off the air. Although the program is pretty much the same as the previous day’s broadcasting, my cat doesn’t seem to mind and we assume she appreciates reruns. We call it watching Squirrel TV.